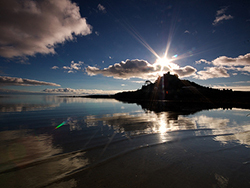 The National Trust in Cornwall offers a host of opportunties for wonderful days out. Historic castles, country houses, beautiful gardens, mining heritage and scenic coastline - there is something for everybody. 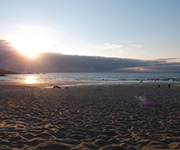 Below is just a small selection of their sites and properties across Cornwall. You'll find a map for each plus a link to the National Trust website page where you will find more details such as opening times. Join The National Trust now and you can get free entry to many historic places in Cornwall plus hundreds of others across the whole of the UK. You'll also be helping one of Britain's largest conservation charities. Click on the banner below for details of how to join and their lalest membership offers. The cost is very reasonable and if enjoy more than one or two days out each year you will easily recoup the cost. One of the most dramatic coastal attractions in Cornwall. A rocky island, reached by a tidal causeway and crowned by a medieval church and castle. If the tide is in you can reach the island by boat. There are sub-tropical gardens to visit as well as the ancient buildings. A beautiful country house garden which inlcudes formal planted areas, extensive parkland, woods and riverside walks. Positioned above the Fal Estuary there are panoramic views across the open sea and towards Falmouth. You can drive there or take a ferry from Truro down the river to Falmouth then across the estuary to Trelissick landing stage. 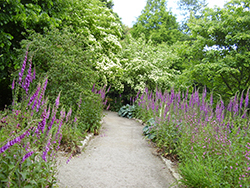 The gardens are open every day all year round - although it is worth checking on their website in case anything changes. 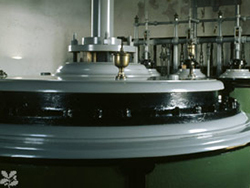 A giant fifty two ton Cornish beam engine - a real reminder of Cornwall's mining heritage. There is also an Industrial Discovery Centre and Social History Exhibition on the site. A picnic area is provided so that you can enjoy your lunch. 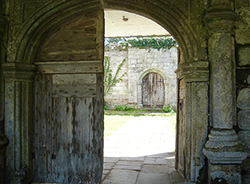 This house is something different - ancient and atmospheric with gardens having a medieval layout and structure. 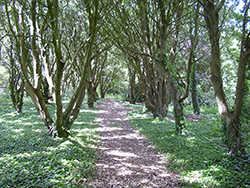 The huge grounds offer plenty of good walks and views over the West Cornwall countryside. There are hundreds of archaological remains and old mine workings. There is a cafe on site plus picnic areas for you to enjoy. 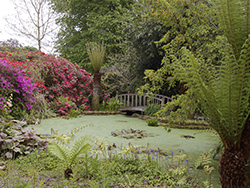 Garden with many exotic sub-tropical shrubs and trees. There are enormous tree ferns giving the place a real "Jurassic Park" feel. Excellent views over Mounts Bay and The Lizard. There is also a tea room serving light refreshments.